At Lawrence Park Dental our focus in on you. Every person has many attributes which make them unique, including the health and appearance of their smile. 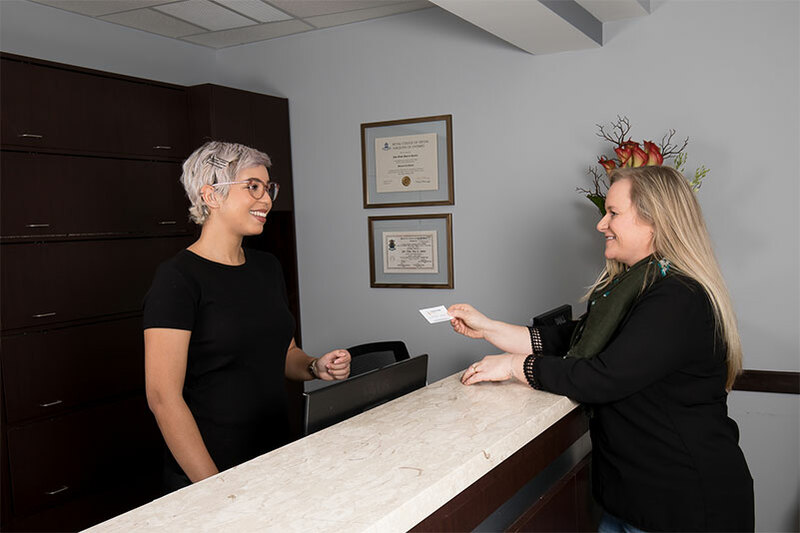 We always take an individualized approach with every patient, to help them realize their optimal oral health, and enjoy the benefits of a beautiful and confident smile. Your initial appointment will consist of a full examination of your teeth, gums, facial bones and an oral cancer screening. Digital X-rays and photos will be taken for documentation and diagnostic purposes. A detailed review of your medical status will be required so we can deliver your treatment in a save and responsible manner. Please remember to bring a current list of any prescribed medication you are taking. IMPORTANT: A parent or guardian must accompany all patients under 16 at the initial visit. Dr. Queiroz will be able to evaluate your oral conditional and provide a proper diagnosis and treatment options, based on the information gathered. If you have dental insurance, don’t forget to bring your documents. This will save time and allow us to help you process any claims promptly. Located in the heart of North York, we deliver personalized service and patient-focused care for smiles that last a lifetime. Please feel free to contact us anytime with questions or concerns about your own dental health or that of a family member. We are looking forward to meet you! We encourage you to call or e-mail our office and schedule your initial appointment today. Lawrence Park Dental team members will make every attempt to schedule your appointments at your convenience. When an appointment is booked, that time is reserved just for you. For this reason if you are unable to keep a scheduled appointment, 2-business days’ notice is required. Your cooperation and understanding will help to maintain a healthy and successful practice. We want everyone to have the healthy and beautiful smile they deserve, which is why we offer easy payment solutions. We accept payment by cash, debit, and Visa and MasterCard credit cards. We also participate with many insurance carriers, and as an added convenience, we will even electronically file your claims for you if your plan allows it. It is with great pleasure that Lawrence Park Dental informs you of our continuation of meeting our goals to be empathetic, supportive and sensitive to your financial needs. We want to be flexible in changing times. We will do our very best to work out a financial solution to meet your particular situation. Please remember you are fully responsible for all fees charged by Lawrence Park Dental, which are based on the current Ontario Dentist Association fee guide.